I don’t care where I might be; the needle of my heart’s compass will always point to the 11,563 square miles sandwiched between the Altamaha and Satilla rivers. Wayne County is where my soul is intertwined with my roots. Standing on the corner of Cherry and Macon streets, I can show you where Dr. Alvin Leaphart lifted me from my mother’s womb. As he clutched me by my ankles, I cried. But what was rolling down my chubby cheeks were tears of joy—joy to be born into a loving family and into a wonderful hometown. If anything has changed in the last 70 years, it would be that my love has grown. And that’s why, if I’m breathing, I will be standing up for the people and this place that I love so dearly. So what have we learned in the last 35 months about toxic coal ash? 1. Coal ash is laced with numerous poisonous heavy metals which are harmful to our health. 2. Toxic coal ash should never be stored near water or in sensitive ecosystems. 3. Disasters—manmade or natural—can and will put people and the environment at unnecessary risks. There is nothing we can do about the 800,000 tons of toxic coal ash already stored at the Broadhurst Environmental Landfill. Well, there is one thing. We can continue encouraging Republic Services to be diligent in its maintenance and monitoring. 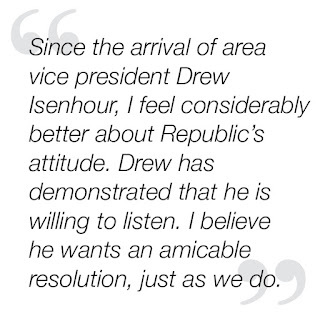 Since the arrival of area vice president Drew Isenhour, I feel considerably better about Republic’s attitude. 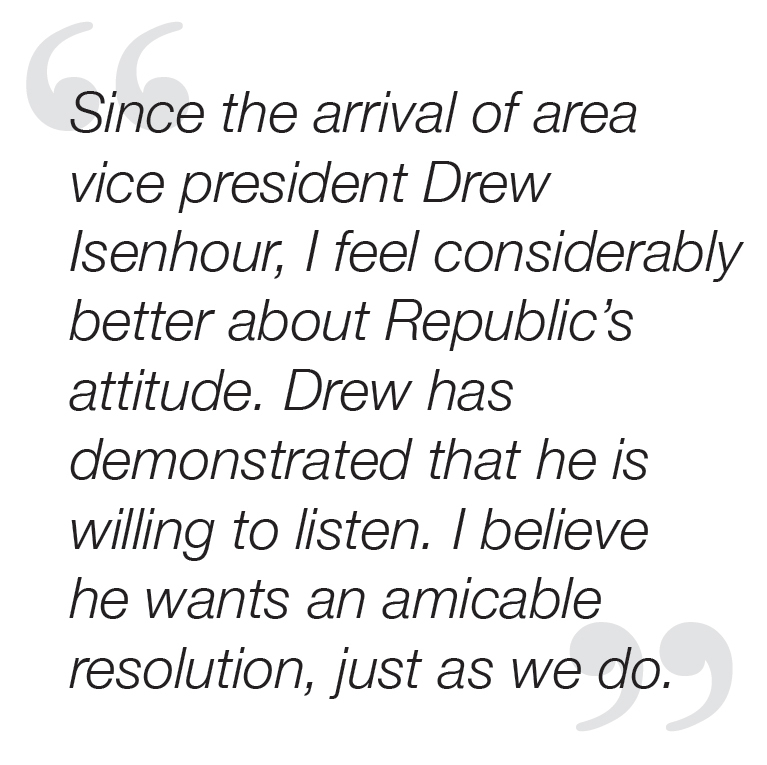 Drew has demonstrated that he is willing to listen. I believe he wants an amicable resolution, just as we do. Looking back to the early 1990s, hindsight is now like a huge, blinking caution light. The landfill should never have been located in or near an area crisscrossed with wetlands and streams flowing to Georgia’s coast. Broadhurst also sits atop the Floridan Aquifer, the drinking-water source of millions. Calamities happen. Consider Duke’s Dan River coal-ash tragedy. And then there’s the monumental coal-ash disaster in Kingston, Tennessee. Just last week, a federal court ruling underscored how safety was ignored for workers who were cleaning up that poisonous mess. Profits were put ahead of people’s health and lives. Now consider the tsunami of hurricanes over the past few years. Each was a warning to Coastal Georgia. Imagine if Hurricane Harvey—which flooded Houston—had hit the Golden Isles. What about Hurricane Florence? It washed nasty industrial hog waste and toxic coal ash over the coastal Carolinas. And think about Hurricane Michael, which left portions of Florida’s Panhandle and Southwest Georgia devastated. If angry Michael had picked Brunswick as its bull’s-eye, Wayne County—as we know and love it—would have been obliterated. Benjamin Franklin has been in his grave for 228 years, but the truth of his cautionary words is very much alive today. That’s why I stand with you—Wayne County—as we stand up for the people and place we love.